If your horse is acting up, perhaps the best thing for it is to send it to the military for boot camp. In all seriousness, that is usually what happens to young human beings. When they are acting out, we give them more structure by either sending them to boarding school or military school. 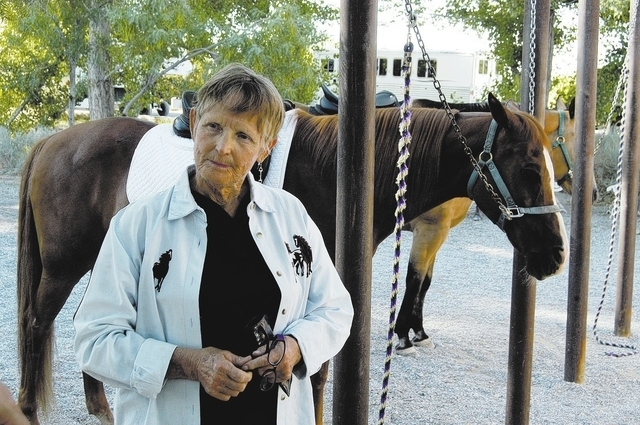 For horses, Barbara Callihan, owner of Happy Hoof Beats, has another solution. 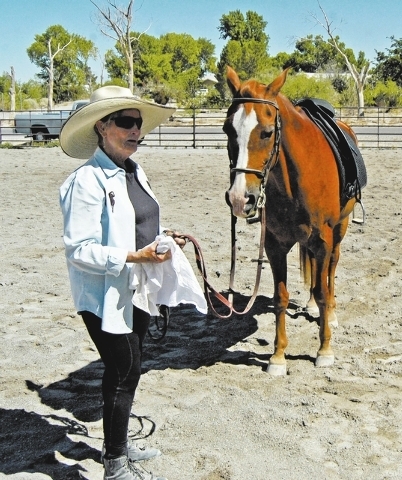 Callihan has been training riders and horses for some years now in Pahrump and is well known for dressage training and her work with Cavalletti. 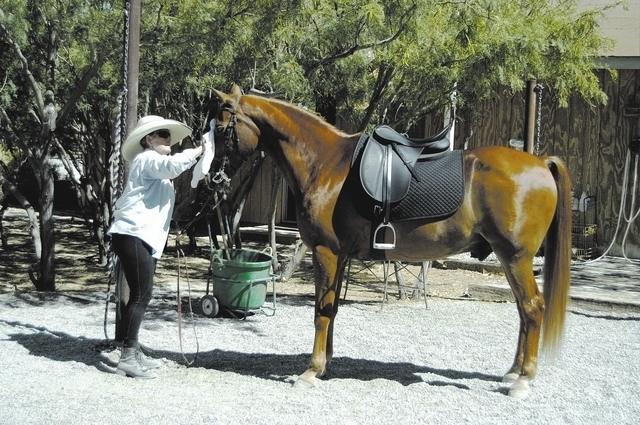 On Jan. 11 she will be holding introductory Cavalletti training at her arena at 4061 E. Martin Ave. in Pahrump from 11 a.m. to 1:30 p.m. This clinic will be held by Chuck Vowell, and expert on Cavalletti Work. He will be talking and doing a workshop about the strengths of the Cavalletti work that the United States Cavalry did to train for battle. Vowell is also a military historian and is 54 years old. He was born in Las Vegas Nevada and has lived in Pahrump for 18 years. “He has a horse that has gone through the training. He is extremely knowledgeable and it will be very fun and interesting. I am excited that this has come together,” Callihan said. Callihan said Vowell is a member of United States Cavalry Association Reactivated (currently at rank of Captain) and the American Competitive Trail Horse Association. Vowell also will speak about how the horse becomes a weapon. He will be doing the basics and doing a short demo and then in March he will be doing a larger demo where he will be doing some faster riding. Callihan said that the benefits of this type of riding are many. She said some of the things it will improve are body mechanics and rideability. It builds and improves maneuverability, balance and flexibility. 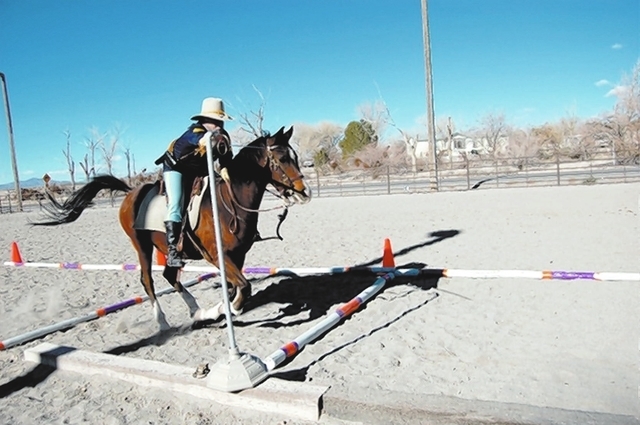 This type of riding will also increase stride length and height, develop steady gaits and cadence. The riding instructor said this type of work goes back over a hundred years ago and was developed in Italy for the cavalry. “The reason I had Mr. Vowell come is because the Cavalletti discipline is something that has fallen to the wayside and people don’t know the tremendous influence and the positiveness that this work can give. Sometimes when it is tied to something as solid as the military and it has been in the works for some 100 years they might say, ‘Hey maybe this works,’” Callihan said. Vowell explained in his literature on the subject that the use of Cavalletti discipline by the United States Cavalry during the early 1900’s helped speed up training of the green recruits and he believes Cavalletti training is the quickest, safest and simplest way to train a horse to pay attention to his hoof placement and to be continually aware of the need to adjust its stride and gait in response to approaching changes in the terrain.